Originally published in 1924 with the byline “Captain X,” this compact memoir was only the ninth book about Churchill, a field that has since grown to over one thousand. Until now it has been a rare collector’s item. Frontline’s new edition is considerably revised and expanded. According to his son, who wrote the new introduction and additional print and online sources, Andrew Dewar Gibb (1888-1974) was an Edinburgh lawyer who served as a company commander, then adjutant, during Churchill’s active service in World War I (January-May 1916). Churchill served as a Lt. Colonel commanding the 6th (Service) Battalion, Royal Scots Fusiliers (RSF), 9th (Scottish) Division. They were frequently on the front lines, in the trenches of Ploegsteert (nicknamed “Plug Street” by British tommies), near Ypres (Ieper), Belgium. Gibb survived the war, returning to law; he became a professor, writer, and politician as a founder and early leader of the Scottish National Party (SNP). He remained on good terms with Churchill, addressing him as “Colonel” throughout their long lives. Gibb’s original work, nine chapters and 112 pages, was a slender volume, notable as an early firsthand account of Churchill’s military sojourn after his famous fall from political power in 1915—his personal “Brexit.” The new edition is an odd but useful amalgamation of Gibb’s 1924 text with copious extractions or rewrites from Sir Martin Gilbert’s first volume (The Challenge of War) in the official biography, Winston S. Churchill. The new edition benefits from nearly two dozen photographs, two large color maps and several smaller maps. Unfortunately, it suffers by being neither fish nor fowl, neither a facsimile nor totally new, but a literary Frankenstein, albeit benign in intent. No editor is listed, though clearly someone functioned in that capacity, and should have been credited. Gibb’s original work had nine generally short chapters, while the new work has sixteen; the original chapters are often massively enhanced. For example, “The Mess” takes up six-plus pages of the original and 13-plus in this edition. There are problems with sourcing. Endnotes are schizophrenically placed, sometimes very specific, but often absent when needed for abstracted or extracted material. The saving grace of this new edition is that it tells the story it intended to tell. Churchill, the self-titled “Escaped Scapegoat,” a reserve officer in the Queen’s Own Oxfordshire Hussars, spent the end of 1915 in combat training with the Guards Division before taking over the 6th RSF. He famously observed that Scotland had provided him “a wife, a constituency & now a regiment.” He was not initially well received by officers (including Gibb) or the rank and file—mostly working class lowland Scots. But his concern for his men and attention to detail quickly won them over. They also found him quite amusing, with his long lectures on obscure topics such as the history of lice (Pulex europaeus), his portable bathtub with a hot water heater, and his combining his British uniform with a light blue French army helmet (presented by a French general). He was loyally supported by his second-in-command, Archibald Sinclair (1890-1970), later head of the Liberal Party and a member of Churchill’s World War II cabinet. Churchill was an active, fearless leader, personally patrolling the front lines and surviving several close calls. As Gibb observed, “Our nights were spent in wondering what he’d do next, our days in doing it” (71). The battalion would usually spend six days in the line and six days in reserve. 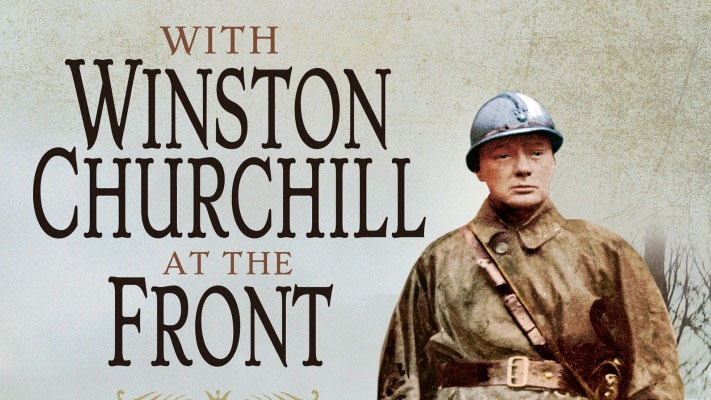 In the trenches, Churchill’s mind was on matters at hand, but during the off times his desire to return to politics was paramount—especially when it became evident no military promotion was likely. The Asquith government’s resistance to conscription was a major political issue, which Churchill criticized. With insufficient replacements during 1916, the 6th Battalion gradually wasted away. This enabled Churchill to leave the army honorably in May 1916, when the 6th Battalion was amalgamated with the 7th battalion, making Churchill redundant. His last foray as a combat soldier ended, he returned home to resume his trenchant political struggles to defend his record and reputation. Gilbert’s Challenge of War and The Churchill Documents, Volume 7 (see below) remain the best and most comprehensive studies of this important though little-known chapter of Churchill’s life. While excellent, Michael Sheldon’s Young Titan: The Making of Winston Churchill (2014) and Ted Morgan’s Churchill: Young Man in a Hurry (1982) both end in 1915 after Churchill’s fall from power and before his military service. William Manchester’s The Last Lion: Visions of Glory, 1874-1932 (1983) is highly readable. Mr. Shepherd is Associate Archivist of The Catholic University of America, and is the creator and principal writer for The Archivist’s Nook. Martin Gilbert, Winston S. Churchill, vol. 3, The Challenge of War 1914-1916, Hillsdale College Press, 2008. Martin Gilbert, ed., The Churchill Documents, vol. 7, The Escaped Scapegoat: May 1915 – December 1916, Hillsdale College Press, 2008. Douglas Russell, Winston Churchill, Soldier: The Military Life of a Gentleman at War (2005). Peter Apps, Churchill in the Trenches (2015). Bradley P. Tolppanen, “Churchill Rejoins the Ranks,” Military History, November 2015. Adam Marshall, “Churchill’s First World War,” BBC4 CD.